But Stella isn't the only stowaway. In the cargo bay is a boy who is also desperate to get to the Uncharted Lands. And someone else who's determined to keep the ship from making it there at all. . . 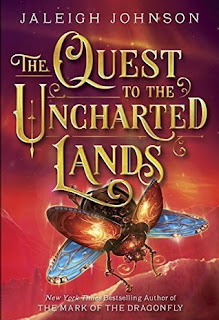 There is nothing better than a fun, fast paced, and well written middle grade fantasy book, and Jaleigh Johnson delivered everything I was hoping for with The Quest to the Uncharted Lands. The world-building was engaging, the characters were fun and unique, and the action never stopped. I loved each of the characters and found myself relating to each of them on some level. The reader joined the crew on their way to the Uncharted Lands and we found two young and innocent stowaways as well as one that was not so innocent. The story followed Stella and her new friend as they attempted to protect the air ship as well as everyone aboard. I absolutely loved this novel and I thoroughly enjoyed the setting and how a majority of the story was aboard the air ship. So much action took place in such a short period of time in a small setting, but Jaleigh Johnson took full advantage of the setting and really made the ship come alive for the reader! 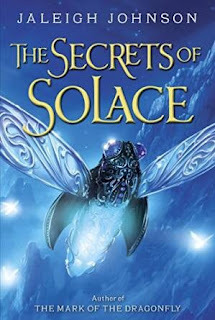 I am a HUGE fan of Jaleigh Johnson and I highly recommend all three books in The World of Solace Series, but The Quest to the Uncharted Lands was by far my favorite. Readers of all ages will enjoy the action packed pages inside The Quest to the Uncharted Lands, so go out and grab your copy today! 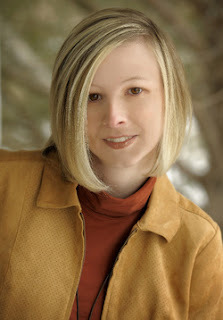 And be sure to enter the giveaway hosted by Rockstar Book Tours! 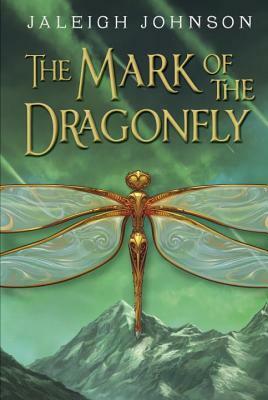 Piper has never seen the Mark of the Dragonfly until she finds the girl amid the wreckage of a caravan in the Meteor Fields. The girl doesn't remember a thing about her life, but the intricate tattoo on her arm is proof that she's from the Dragonfly Territories and that she's protected by the king. Which means a reward for Piper if she can get the girl home. The one sure way to the Territories is the 401, a great old beauty of a train. But a ticket costs more coin than Piper could make in a year. And stowing away is a difficult prospect--everyone knows that getting past the peculiar green-eyed boy who stands guard is nearly impossible. Life for Piper just turned dangerous. A little bit magical. And very exciting, if she can manage to survive the journey. 3 winners will receive a finished copy of THE QUEST TO THE UNCHARTED LANDS, US Only. Enter HERE.